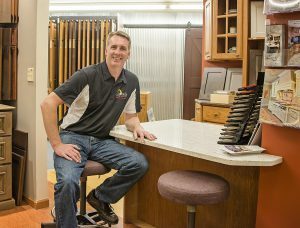 Cascade Lumber offers a beautiful selection of stained, painted and glazed cabinetry. Our selection includes the DuraSupreme and Koch cabinetry lines that will fit every price range. 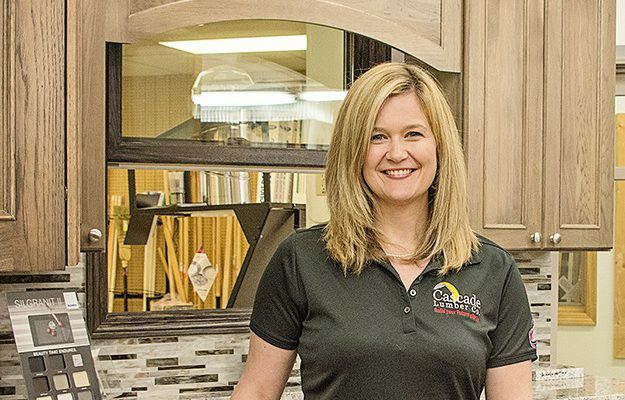 Cabinet door styles, finishes, dove-tailed and full extension drawers, specialty cabinets, and full and standard overlay doors are some of the options we have on display for you to see. With cabinetry, there is no limit to imagination, function, or beauty. The kitchen is often referred to as the “heart of the home.” Our designers are trained to work with you to create a beautiful space that will fit your food preparation needs, as well as a place to create memories, complete homework, and catch up with friends and family. Your kitchen should fit your lifestyle, so whether you are building or remodeling we are here to help you refine your storage needs and help you be more organized. From preliminary design to final installation, Cascade Lumber will help you every step of the way. Bathrooms can reflect your personal style and fulfill your storage needs. Furniture vanities, wall hung vanities, and classic vanities in a wide range of finishes and door styles are available to you at Cascade Lumber. Stop in and let our designers help you create your own retreat in this fast paced world. Cabinetry can go beyond the kitchen and bathroom and into different areas of the home. Many options are possible for custom dining room hutches, desks, benches, lockers, laundry cabinets, and fireplace built-ins. Take a look at our gallery or houzz page to see some our recent projects.